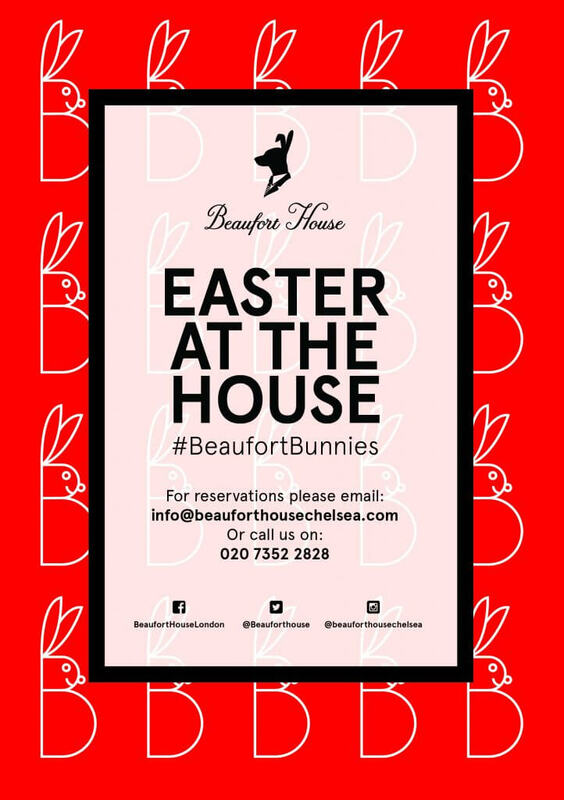 Easter is fast approaching with the arrival of the Easter Bunny himself, along with the onslaught of foil wrapped eggs and endless cocoa-based treats, and there is no escaping celebrating this seasonal holiday here at Beaufort House Chelsea! Join us at The House with family and friends and indulge in our famous and egg-stremely delicious brunch menu over the Easter weekend (Friday 14th to Monday 17th April 2017) and with many an Easter treat on offer for you & your little-loved ones we look forward to celebrating with you! Our mini #BeaufortBunnies are the perfect gift from us to your little people so don’t forget to take a snap & post it on Instagram, Facebook or Twitter #BeaufortBunnies in our ground floor brasserie in order to receive your very own Beaufort Bunny!